Just North of Windsor, Ontario, the bustling city of Detroit, Michigan offers a wealth of professional opportunities. This city of more than 600,000 residents is home to the automotive industry, and hundreds of companies have headquarters in this sprawling metropolis. Many people flock to the area for its industry and professional opportunity. 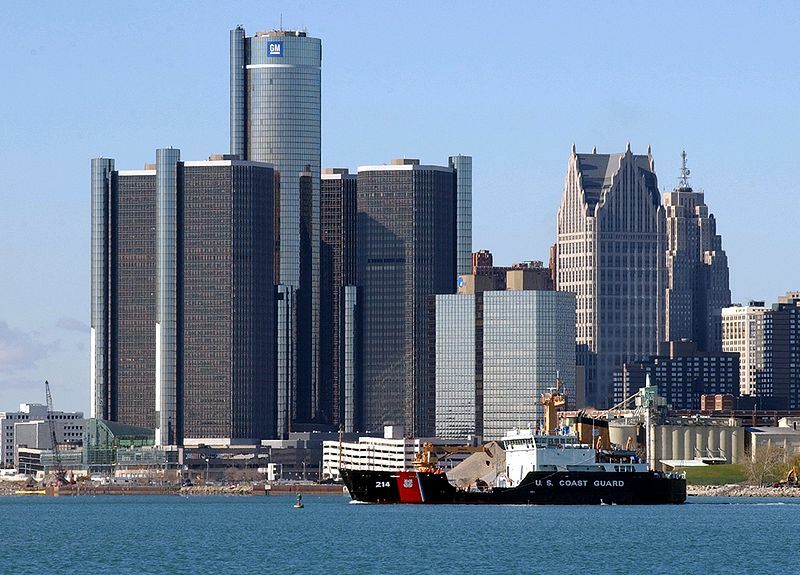 With a climate that is similar to that of Ontario, Detroit provides an easy transition for those moving from Canada. Summers are typically hot, with muggy temperatures on most days. Winters can be biting and bitter, and lake effect snow is heavy in the region. Detroit has a mild spring and fall season which offers pleasant and temperate weather. Downtown Detroit boasts a vibrant arts and nightlife scene that attracts young professionals from around the region. The city has two major sports teams, world class libraries and other cultural facilities.With sports stadiums, theaters and museums nearby, many families find living in the Detroit area enriching and rewarding. Detroit’s suburban areas are highly sought out by families and single professionals alike. With easy access to freeways, these enclaves offer a quick way for workers to commute into downtown Detroit while living in the surrounding neighborhoods. Real estate in the city of Detroit is priced well below the national average, and homes can be purchased at low prices. Most new residents, however, elect to live just outside of the city, in suburban areas that offer safety, security and charm. Neighborhoods like Grosse Point, St. Clair Shores and Dearborn offer proximity to the city and easy access to transportation and offices. Detroit is home to one of the largest airports in the nation, making travel simple and convenient. The Detroit Wayne International Airport is located in Romulus, a 25 mile drive outside of the city. The city also offers easy access to downtown Windsor, Ontario via the Windsor Tunnel and the Ambassador bridge. Downtown Detroit also has an Amtrak station and Greyhound bus station which offer service into Windsor, Toronto, Hamilton and Niagara Falls. For families with young adults and students, Detroit is home to many great academic institutions. Wayne State University boasts world-class research facilities, a diverse student body and expert professors. The University of Michigan, Eastern Michigan University and Oakland University are short drives from downtown Detroit. The Cranbrook Institute is one of the most prestigious private high schools in the nation, and is conveniently located to Detroit suburban neighborhoods. If you would like to relocate to Detroit, we at Canuck Abroad can help you. We have a wealth of resources that can make your relocation as smooth as possible. Call us at 416-410-7484 for more details.